26 years as a professional tennis player. 140 different doubles partners. 18 Grand Slam doubles titles. Five Asian Games gold medals, and one Olympics bronze. He is Leander Adrian Paes. Born in Calcutta 44 years ago to an Olympic hockey medal-winning father and a mother who captained India in basketball, Paes’ list of achievements goes well beyond those listed above. He has been a part of the highest level of tennis for 26 years, and his love of tennis and hunger for titles is only topped by his love for his country. Not many professional sportspeople would win a tournament on Monday in Mexico, receive word that they may be needed to play for their country in the Davis Cup in under a week, fly for 24 hours to India, and be on the practice courts on Wednesday morning. Leander did that last week for India’s Davis Cup tie against Uzbekistan. And not for the first time; his country has experienced this unwavering commitment for close to three decades. Contrast that to Bernard Tomic, who made himself unavailable for Australia’s 4-1 first-round defeat of the Czech Republic, citing scheduling reasons. And for various reasons, of the world’s top 14 singles players, only Novak Djokovic was available to play for his country in the first round of the Davis Cup this year. Longevity and commitment to the game and country aside, the least discussed but most remarkable aspect of Leander’s career has been the sheer number of partners he has played with. There have been some legends, such as Rafael Nadal, Andy Murray, Stan Wawrinka and Juan Martin Del Potro in men’s doubles, and Martina Navratilova and Martina Hingis in mixed doubles. 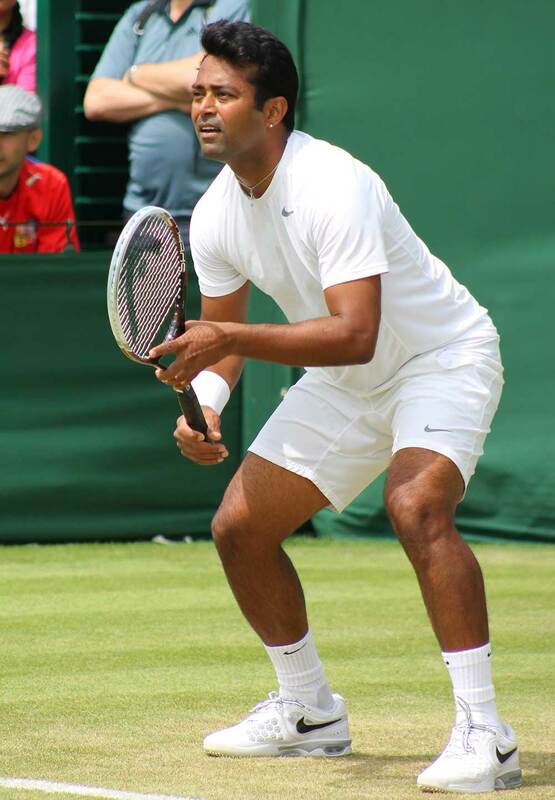 Paes has reached the final of 16 men’s doubles Grand Slam events and won eight of them, in the company of four different partners: Mahesh Bhupathi, Radek Stepanek, Martin Damm and Lukas Dlouhy. Reaching an identical number of mixed doubles Grand Slams, Paes has ten titles earned in the company of four wonderful doubles players: Navratilova, Hingis, Lisa Raymond and Cara Black. The other partners with whom he has reached the finals of Grand Slam events but finished runners-up include David Rikl, Meghan Shaughnessy and Elena Vesnina. Sebastien Laureau, Byron Black, Mark Knowles, Daniel Nestor, Jan Siemerink, Jonas Bjorkman, Nenad Zimonjic, Juergen Melzer, Michael Llodra and Rohan Bopanna are some of the best doubles players to have come into the game in the past three decades. Leander has partnered each of them with varying degrees of success. Partenering Mahesh Bhupathi, Paes has an enviable 25-2 record in Davis Cup doubles matches, including an incredible 24 consecutive unbeaten matches, which remains a Davis Cup record. So what makes Leander Paes such a special doubles player, and someone who has clearly been much sought after as a partner over the past three decades? That’s a huge statement. Consider the list of Martina’s partners over the years: Heinz Gunthardt, Paul McNamee, Emilio Sanchez, Jonathan Stark, Bob Bryan. That’s not a list to scoff at. Paes and Navratilova have remained firm friends and Leander credits her with teaching him that “age is just a number” and helping him achieve longevity in the sport. 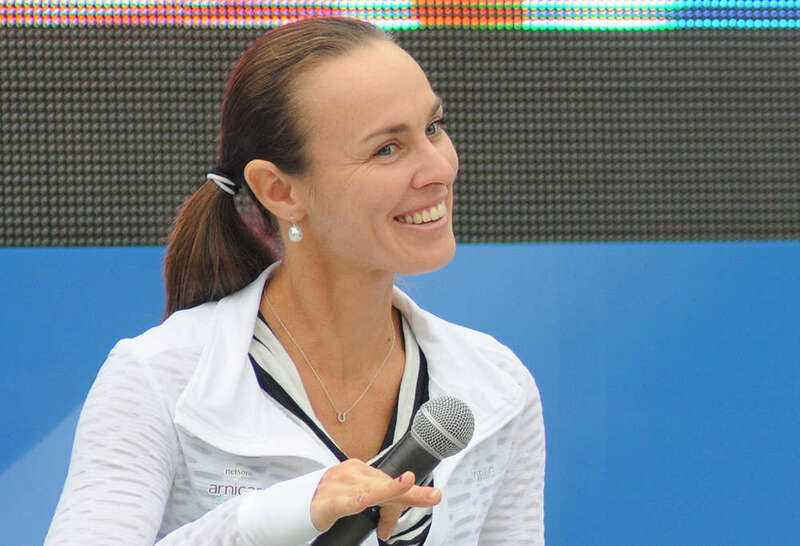 The fact that Martina won her last Grand Slam title at the age of 49 and Leander is going strong at 44 is testament to how useful that advice has been. The other mixed partnership that’s been very productive for Paes has been with Hingis. What Hingis says about him perhaps gives a clue about why Leander is sought after as a partner: “Leander is a very giving person and is always worried about me being fine. It’s most important to have chemistry on court. We complement each other on court very well and I feel with him on court, nothing can go wrong. And that’s a truly revealing statement. In any team situation, a leader who brings the best out of his team members and inspires them to perform at their peak is worth his weight in gold. Stepanek recalled an episode that typifies why partners enjoy playing with Paes: “Before the finals of the 2012 Australian Open, Leander and I were waiting in our locker room. I switched on my laptop to read Czech newspapers online. Leander, who was standing next to me, began to read them, despite having no clue as to what he was reading. With Leander, it’s always been about teamwork. It’s revealing to hear what he has to say about it. “Sometimes the chips are against you, sometimes they fool you. What I love about this teamwork is that in any partnership there’s got to be one person who brings the energy to the team. There’s got to be one person who takes all the pressure on their shoulder and drives the team forward,” Leander said when asked about his partnership with Hingis. That’s a lesson in team management right there. Keep your team happy and let them perform to their potential. In typical Leander fashion, he might be underplaying his own energy and sheer genius at the net, but that’s what a good team player does. And it’s also about strategy and knowing your weaknesses and accounting for them in your game plan. Leander’s partners, as he has aged, have also naturally tended not to be spring chickens. Clearly a supreme talent with amazing hand-eye coordination, jaw-dropping net skills, aggressive demeanour on the court, and an almost obsessive will to win are all a part of the package that makes for a successful doubles player. But what sets Paes apart are skills that go well beyond the tennis court. It is the ability to adapt to changing circumstances, the instinctive understanding of how to bring the best out of his partner, the overriding humility, the ability to put aside his ego when it comes to his country and his sport, and the rare skill of being a thoroughly likeable professional his partners are happy to spend hours on the court with. 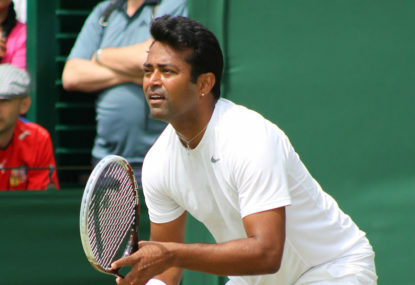 By the time he lays down his racquet, Paes may well have gone past the 150 mark as far as partners are concerned (he will play the ATP clay court tournament next week with Andre Se, his 141st partner), added to his 18 Grand Slams, and become the most successful doubles player in Davis Cup history (he is currently the joint leader). He could have well been talking about Leander Adrian Paes.